News Essay: Do We Become Used To Bad News? Are we becoming emotionally numb due to the amount of tragic news reported every day? Should news agencies focus more on good news and omit bad ones? As media are so prevalent in developed countries, they influence highly on how the society consider the world. Who stands behind “media”? First of all, these are news editors who decide what to broadcast on television and what to print in newspapers. News editors usually make all important decisions like what, when, where to broadcast news on electronic media or print it on the newspapers. So, they can lead the community to the certain point. What influences editors’ choice? These are such factors as target audience; making a profit for the station or newspaper, attracting more audiences than their competitors and political affiliations. If to consider target audience, each kind of readers and watchers has its own features. When one news editor takes decision what story to broadcast or print, the first thing, which appears in his or her mind, is the target potential viewers. According to Westley and MacLean’s theory of mass communication (Westley & MacLean, 1957) news passes through several checkpoints knows as gatekeepers. This “gatekeeper” term is used for news editors. They highlight that if a person wants to have one dish and you propose another, he simply will not touch it. You have to predict your customers’ taste and present the things accordingly. For example, if customers are almost teenagers, the editor has to concentrate on such things as funny stories, photographs of famous singers, film stars, tales, and fashion. This audience is apparently not interested in economic or politic news. At the same time, businessmen and politicians may never read news about DJ Tiesto or Katie Leung. Thus, the taste of their customers influences news editors’ decisions. In practice, making a profit for the station or newspaper is one more factor. The good news is bad news, because it does not sell newspapers. A TV channel that once decides to present only good news soon finds that it is going out of business for lack of viewers; a newspaper is going to lose readers. On the other hand, bad news is so common that in order to cope with it, people often ignore it. Societies have become immune to bad news and the newspapers and radio stations are aware of this. The rating investigations indicate that people are generally interested in bad news. The news about wars, natural disasters or crimes is the kind of information which can be considered as bad news. When it is realized that people are used to bad news, it is hard to keep to this feeling. As far as I am concerned, it is a psychological factor that people pay more attention to bad news. It has a large impact on our global and social activities. Our mind becomes addict to hearing and seeing bad news. All in all, we adjust to reading or watching disgusting news more than good ones. 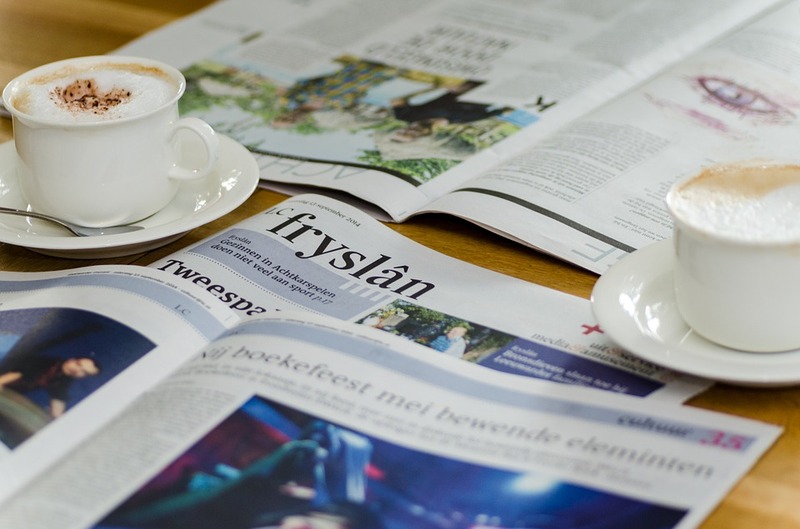 Even if we start reading news in the morning newspapers we find a bad one firstly. Now, our eyes search for the news about something bad happening. Apart from this, unwelcome news gives us information about how bad circumstances can be made by people’s mistakes, but it does not inform us how to solve this kind of problems; or it shows us unfavorable impact of something, but it provides no advice for safety. Thus, it is far better if an editor telecasts or prints good news as our society will benefit a lot. Positive news in our papers and on television can inspire us to do good things, can give us nice ideas to live much better life and overcome the influence of bad news. Having good news leads people to enjoy fully their lives and tends them to build a better community than ever. Moreover, on the one hand, it creates people’s responsibility for the society; on the other hand it makes people be active persons of the society. Taking everything into account, new technology makes media more effective on people’s behaviour and it can have a great role in praising or dispraise community. Therefore, editors’ decisions to select news are vital for nations; however impression of people’s reaction about reporting news should not be ignored. Schaffert, Richard W. (1992) “The Media’s Influence on the Public’s Perception of Terrorism and the Question of Media Responsibility.” Media Coverage and Political Terrorists. New York: Praeger Publishers. This amazing news essay was completed by a professional writer. If you would like to complete a paper of a similar quality, you will probably need a lot of time. If you don’t have enough time, you can ask BuyEssay.org for help. Our well-qualified writers are able to help with the whole work or just parts of it – it’s up to you. When you buy a news essay on our website, there’s no need to worry about safety. We guarantee 100% confidentiality. Do you need to get help right now? Make an order immediately! We are available 24/7.